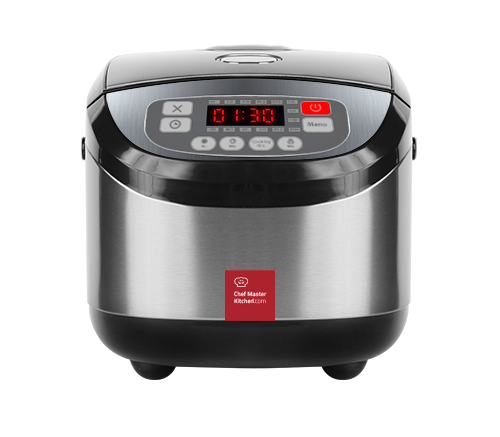 Chef Master Inox Cook Robot™ will be your best ally in the kitchen. Now you will love cooking! 1. Removable steam-release filter. 2. Cook robot cover. 3. Carrying handle. 4. Control panel. 5. Steamer pot adapter. 6. Cooking Pot. 7. Soup spoon. 8 Rice spoon. 9 Measuring cup. Includes steam plate and spoons to serve.